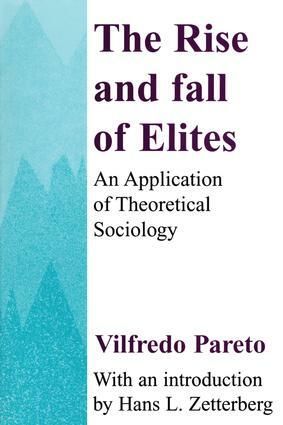 Combining a thorough introduction to the work of nineteenth-and early twentieth-century Italian social theorist Vilfredo Pareto with a highly readable English translation of Pareto's last monograph "Generalizations," originally published in 1920, this work illustrates how and why democratic forms of government undergo decay and are eventually reinvigorated. More than any other social scientist of his generation, Pareto offers a well-developed, articulate, and compelling theory of change based on a Newtonian vision of science and an engineering model of social equilibrium. This dynamic involves a shifting balance among the countervailing forces of centralization and decentralization of power, economic expansion and contraction, and liberalism versus traditionalism in public sentiment. By 1920, Pareto had developed a scheme for predicting shifts in magnitude of these forces and subsequent change in the character of society. This book will be of interest to students, teachers, or general readers interested in political science, sociology and late-nineteenth/ early-twentieth century social theory.